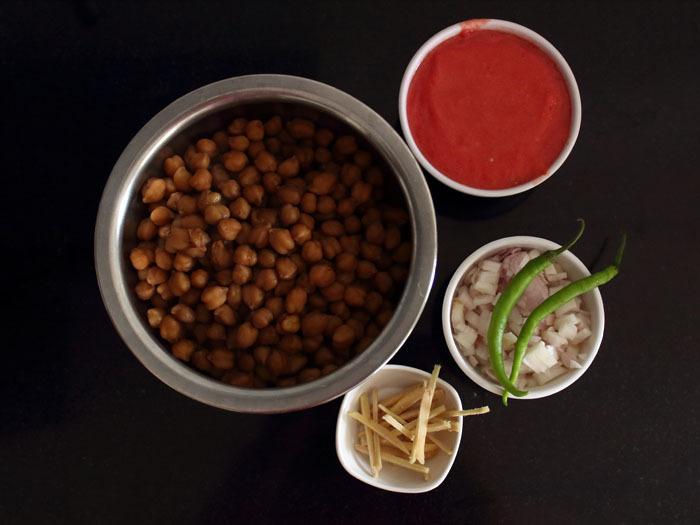 .Amritsari Chole Recipe is originated form region named Amritsar in Punjab state of India. It is served with Amritsari kulacha or naan. Most of finger licking North Indian recipes are from Punjab. 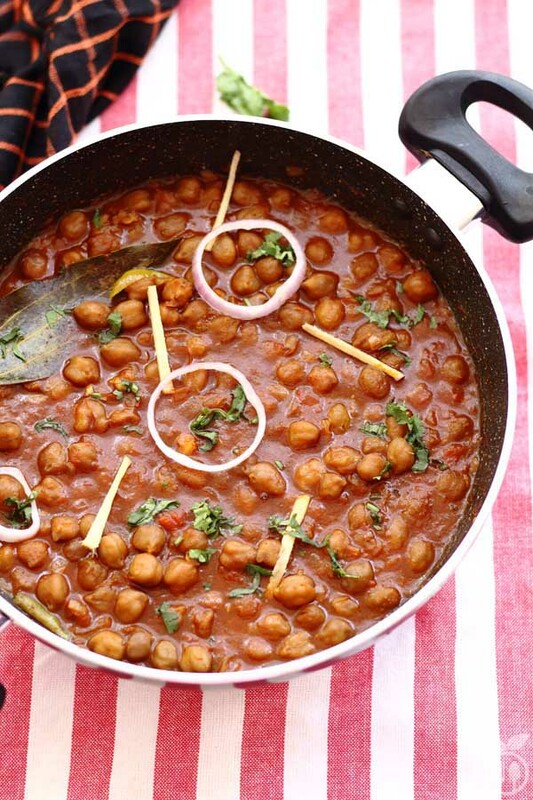 This Amritsari chole is adopted form one the my favorite cookbook. I have 3-4 different choe recipes like chole masala, Chole Bhature, no onion-no garlic chole etc from that cookbook. I tried all of them, and all taste so different form each other. 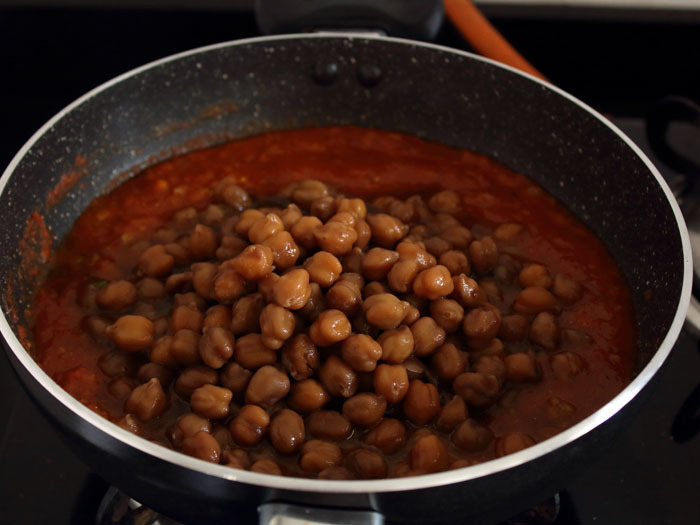 Among them, Amritsari Chole is hardest and most time consuming recipe. But it is BEST among all. Amritsari chole kulcha is common street food you can find in North side of India. Amritsari Kulcha itself is best side dish for any Punjabi curry. GINGER has very important role in this recipe. 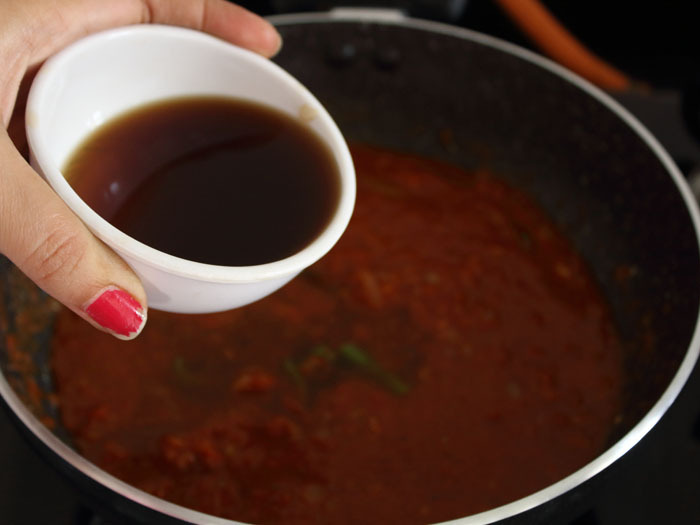 The ginger julienne cooks longer in gravy and gravy has that mild ginger flavor which make this chole recipe unique. Another unique thing is COLOR! Dark brown chole with tangy dry mango powder is also distinctive part of this dish. For guest dinner planning, this is best choice with any sides either roti or rice. 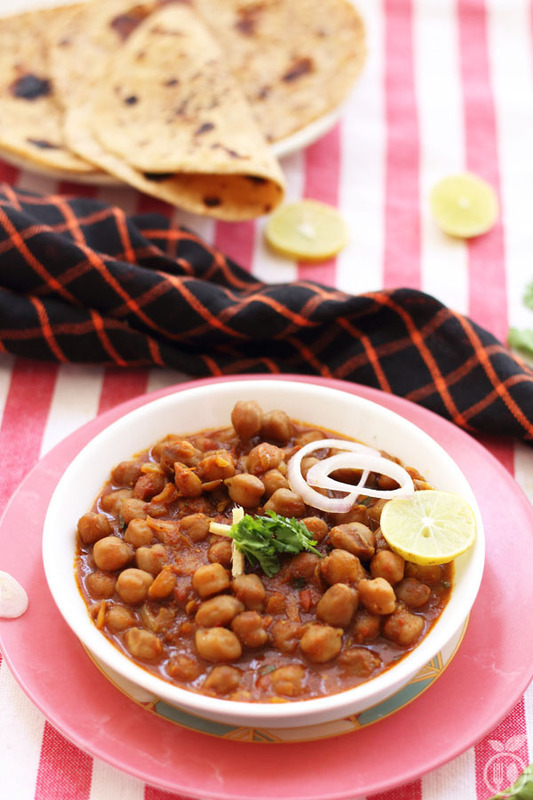 Every guest may find this dark chole recipe interesting. You know, I am curry lover; I can cook curry every day and I can eat curry every day! I always shop good curry ingredients form farmer market on weekends and Monday is best day for experiment! I plan mostly first 3 working day menus and one of them must be some punjabi curries. So, this can be also eaten in summer! Yeah, Sometime, you want to eat something mild spicy or ‘Chatpata’ when heat is moving toward rainy days!!! 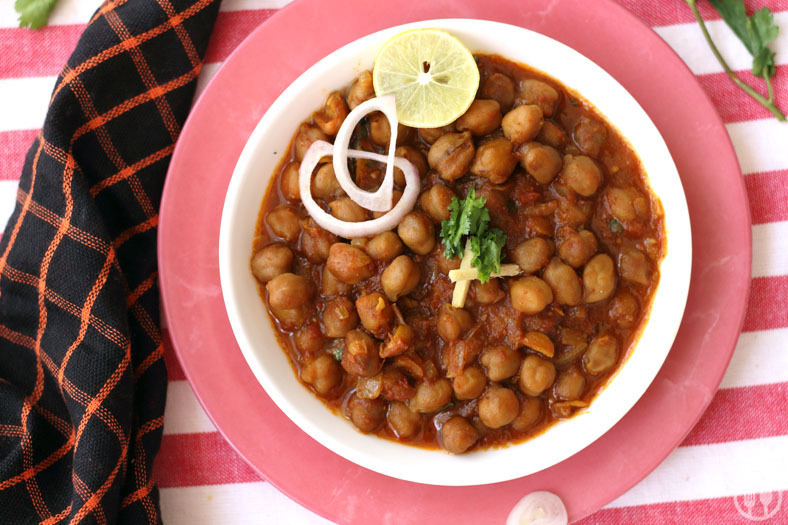 It is the best time to eat Amritsari chole. Please give a try and post me feedback as comment!!! 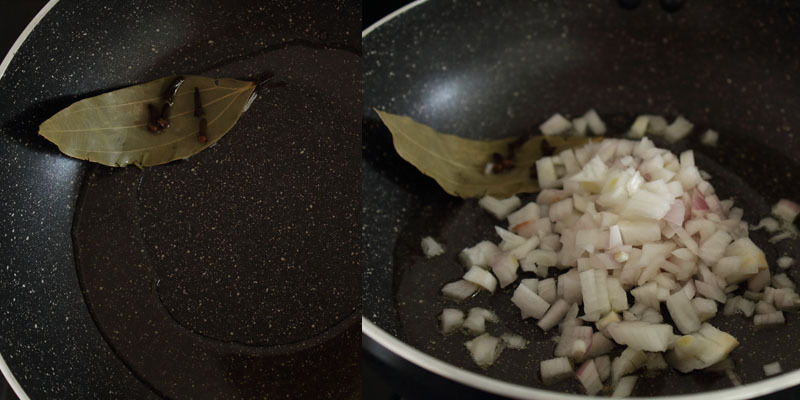 Let’s start cooking with step- by step photes. Then cook for 5-6 whistles. Then add onions and let it cook till translucent. 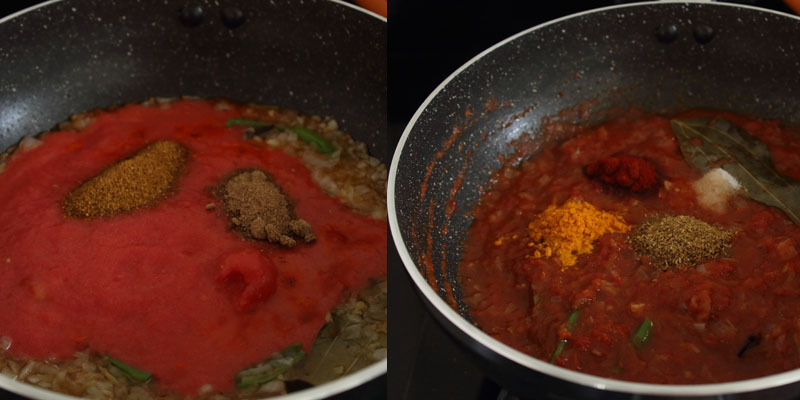 Then add green chilli, garlic, ginger and tomato puree. Let it cook with garam masala and dry mango powder. 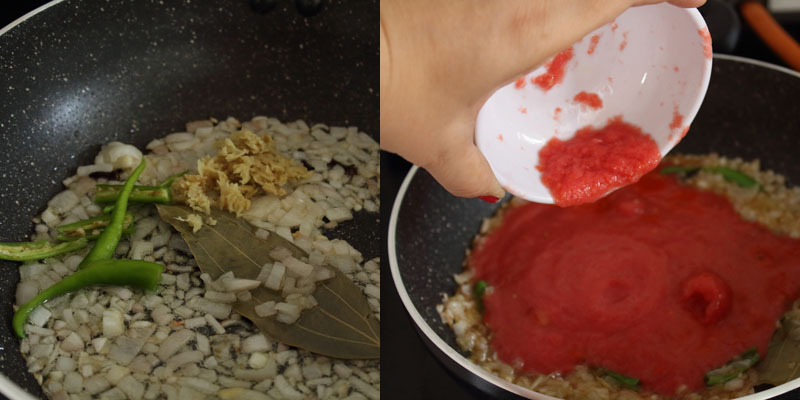 Once tomato puree is cooked, add all other masala powders. Finally add some water and boiled chickpeas. Let it simmer for fre minutes. and your Chole masala is ready to serve. Do not compromise with ginger quanity. It has special roal in this recipe. Try to use ginger julienne instead of ginger paste. Use tea bag to get that dark color of authentic Amritsari chole. You can add some tamarind paste instead of dry mango powder. 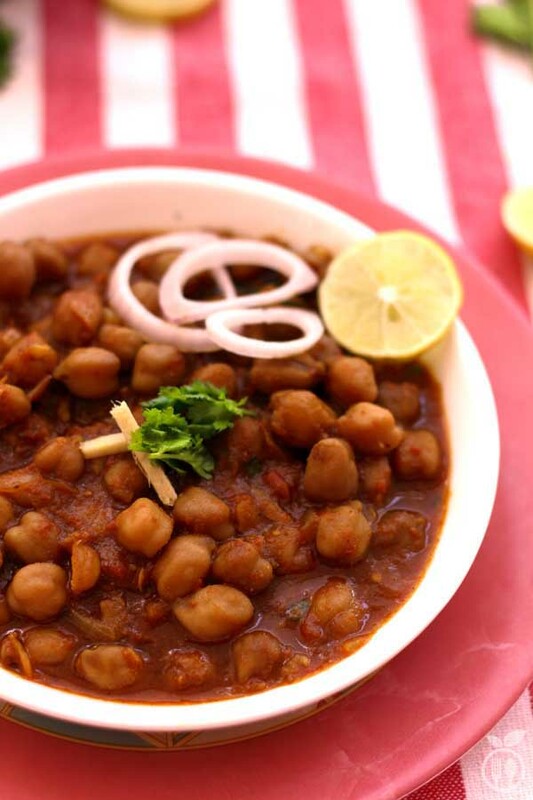 Amritsari Chole Recipe is originated form region named Amritsar in Punjab state of India. It is served with Amritsari kulacha or naan. Most of finger licking North Indian recipes are from Punjab. 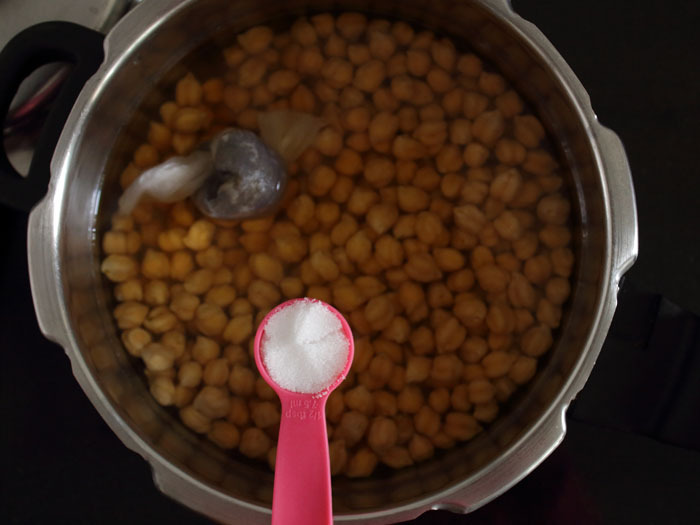 Soak chickpea for at least 4 hour. Overnight soaking will give best result. Cook for 5-6 whistle. And let it rest until it cools down. After opening the pressure cook, remove tea bag, and strain chickpea. Do not throw that black water. Keep ½ cup water; it may be used for further cooking. For cooking curry, take one pan add oil. Once it hot, add bay leaf and cloves. Then add onions and let it cook till golden brown. Then add slit green chili and garlic paste. Then add turmeric, chilli and coriander powder. Adjust salt to taste. Add half cup boiled chickpea water. give a nice stir. Add boiled chickpea and cook for another 5 minutes. Serve with plain paratha and some onions on sides. 1) You can serve this recipe with plain paratha or naan or kulcha. 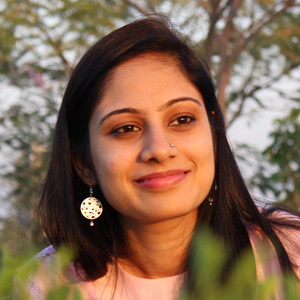 2) Sometime plain rice with chole tastes good. 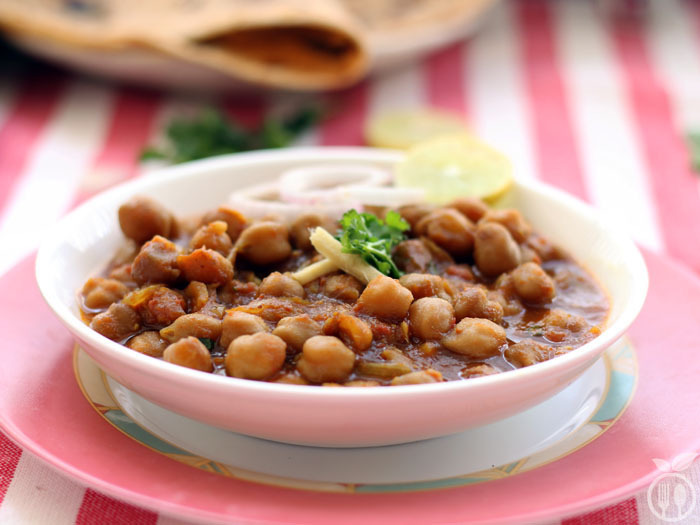 3) Amritsati Chole kulcha is best combination to serve.